Support Ryman Arts today with a tax deductible donation! Transform lives in 2019 with a gift in any amount. Your gift helps us meet a vital need to educate and inspire young artists. Invest in the future of Ryman Arts and keep it free for the next generation! All endowment gifts will be matched up to $500,000. Find out how. You can change a young life by underwriting all the costs for a student’s education at Ryman Arts for a full semester, including outstanding studio instruction, professional quality art supplies, college and career guidance, and field trips. Provide an Art Bin brimming with art supplies to a student starting out at Ryman Arts. Most of our young artists have never had access to their own, professional quality supplies. When you donate an Art Bin, your name (or anyone you designate) is honored with a “Donated By ____” label right on the Art Bin. 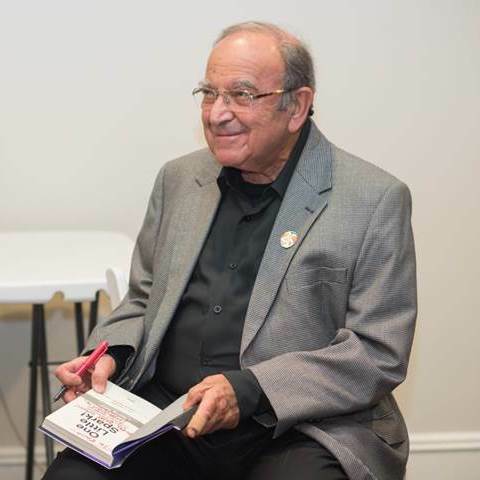 In memory of our Founder, Mentor and Visionary, Marty Sklar (1934-2017), the Marty Sklar Legacy Fund celebrates Marty’s legacy by supporting students at Ryman Arts. Marty was committed to educating creative young people at Ryman Arts, and passionate about ensuring access to those with the fewest other opportunities for high quality art education. This award celebrates the life of the late Disney Imagineer and artist Hani El-Masri by recognizing at least one outstanding Ryman Arts student each year who represents the diverse talents in our community, and who is, like Mr. El-Masri was, an immigrant to the United States. The award covers the cost of the student’s participation in Ryman Arts and a stipend towards college expenses. Learn More [PDF]. Use the “In memory of” box at checkout to tell us in whose memory you are making this gift, and provide contact information for whom you would like us to send a note announcing this thoughtful gift. Use the “In honor of” box at checkout to tell us in whose honor you are making this gift, and provide contact information for whom you would like us to send a note announcing this thoughtful gift. Amazon donates 0.5% of the price of your eligible AmazonSmile purchases to RYMAN ARTS. Support RYMAN ARTS by starting your shopping at smile.amazon.com. With each purchase that you make at any Ralphs grocery store in California, by presenting your Ralphs Rewards Card (formerly the Ralphs Club Card) Ryman Arts will receive a percentage of your purchases!. And the best part is there is no cost for you to join! 1. Get a free Ralphs Rewards card at your local Ralphs store. 2. Go to Ralphs.com and create a free account using your Ralph's card. 3. Login at Ralph.com and go to "My Account". find Ryman Arts and select us as your organization.